EUROLINE SLOVAKIA s.r.o. was founded in 1995 and rose during 1996-97 to become the largest contractor of single-family homes in Slovakia. Our company currently has 40 regional dealers in an area covering the entire Slovak Republic and an additional 30 dealers in the Czech Republic. 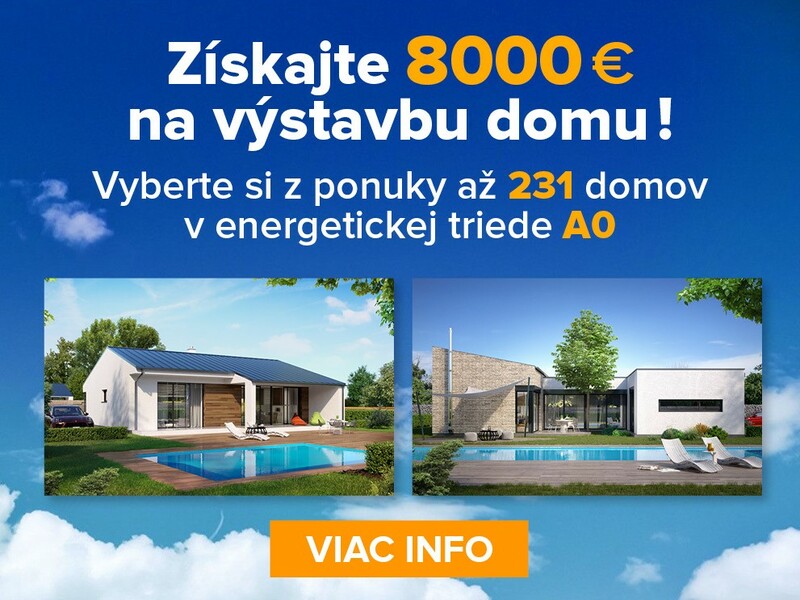 In 1998, our subsidiary EUROLINE BOHEMIA s.r.o., was established, immediately capturing the top spot in sales of single-family homes within the Czech Republic. On January 18, 2011, the certification authority TÜV NORD CERT GmbH issued the certificate of quality according to EN ISO 9001:2008 for company EUROLINE Slovakia s.r.o., as the first one of related companies in Slovakia and Czech Republic. As the largest contractor of single-family homes in the Slovak Republic and one of the leading contractors in the Czech Republic, EUROLINE SLOVAKIA spol. s r.o. can furnish you our 2013 catalogue for the design and construction of single-family homes. Based on your suggestions, 21 new home designs have been prepared for the coming year, and with 423 urrent designs and mirror images, this means more than 846 different home designs. Thousands of satisfied customers whom we are building homes for now or who are already living in homes we have built are convinced about the quality of our work. Our single-family homes are designed according to the latest European trends in architecture, ergonomics and construction physics, while meeting all required standards. EUROLINE homes are designed from traditional masonry, which best meet the concepts of our home contractors and are available throughout the Slovak Republic. The greatest advantage of our catalogued designs, compared to original designs, is the very convenient price and, certainly not least, quite fast delivery.